This Double Chocolate Zucchini Bread recipe will fool even the healthiest health nut! Packed with a couple cups of shredded fresh zucchini and loaded with antioxidant-containing chocolate, what’s not to love? Slowly but surely, you’ll be overwhelmed with the amount of zucchini recipes overflowing the internet. Food blogs, magazines, e-books – all on what to do with the crazy harvest of this amazing vegetable. And every year, I promise myself I’ll bake up a loaf of zucchini bread and then forget. This year while making gazpacho at work, I decided to grab the leftover zucchini (we only use a sliver of the skin and meat of the zucchini in our gazpacho) and take it home to bake with it! This loaf was the result: moist, rich, dense, and full of chocolate flavor! It’s packed with two whole cups of fresh zucchini, olive oil, almond milk, and raw sugar so it’s basically a HEALTH food! HA! But seriously, it’s got some great ingredients to balance the chocolate – and even that is good for you! 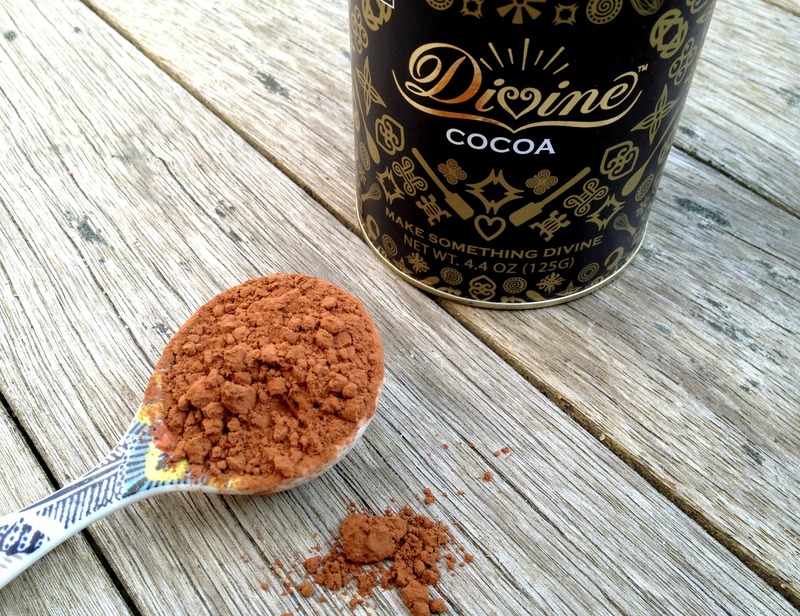 I’ve lately become obsessed with Divine Chocolate and no, this isn’t a sponsored post, I am utterly in love with their cocoa powder and their milk chocolate bars. Seriously, they have a Crunchy Milk Chocolate bar I grabbed at the store the other day that I did not share with anyone, it was that good. Adapted from one of my favorite baking books, "Piece of Cake" by Camilla V. Saulsbury, this cake is incredibly moist and rich in flavor! Preheat oven to 350F and grease a loaf pan. Set aside. Whisk together flour, sugar, cocoa powder, baking soda, and salt. In a stand mixer, whisk the eggs, condensed milk, olive oil, almond milk, vinegar, zucchini, and chocolate chips. Add dry ingredients and mix just until barely incorporated. Pour into loaf pan and bake for 45 minutes to an hour. Let cool fully before slicing. 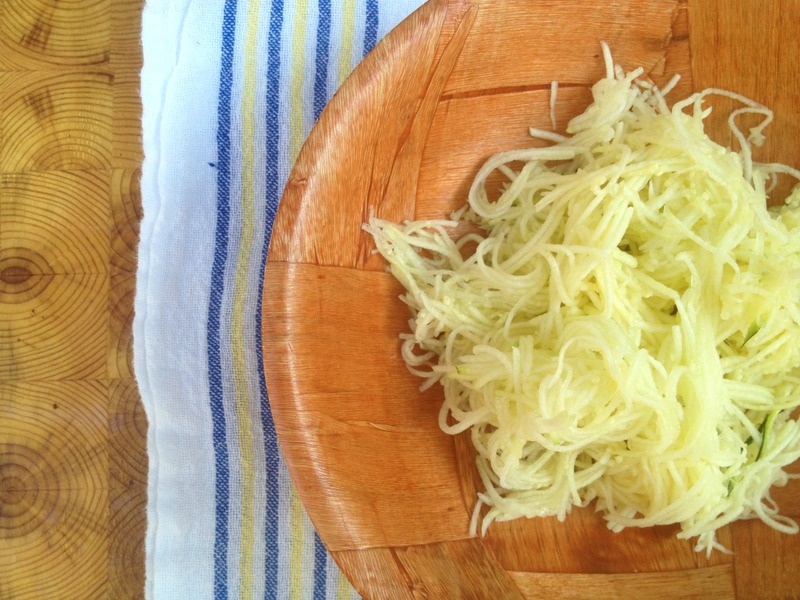 Leave a comment below letting me know what you do with your surplus of zucchini – do you bake or cook with it? Nellllyyyyy, this is looking to die for my friend. Double chocolate zucchini bread, how delicious?! I bet S would love it. I am trying to make all these new and old time recipes before he heads back to college. I know you are working hard so waving hi. Wish I had seen this before eating up the last of the zucchini for dinner – guess it’s back to the market for me tomorrow. Sweetened condensed milk, interesting, that is one ingredient I never have on hand…. Wait a minute…. is it sweetened condensed milk, or just condensed milk in the recipe? They are two different things. OMG I cannot belieeeeve it, these brownies look great!